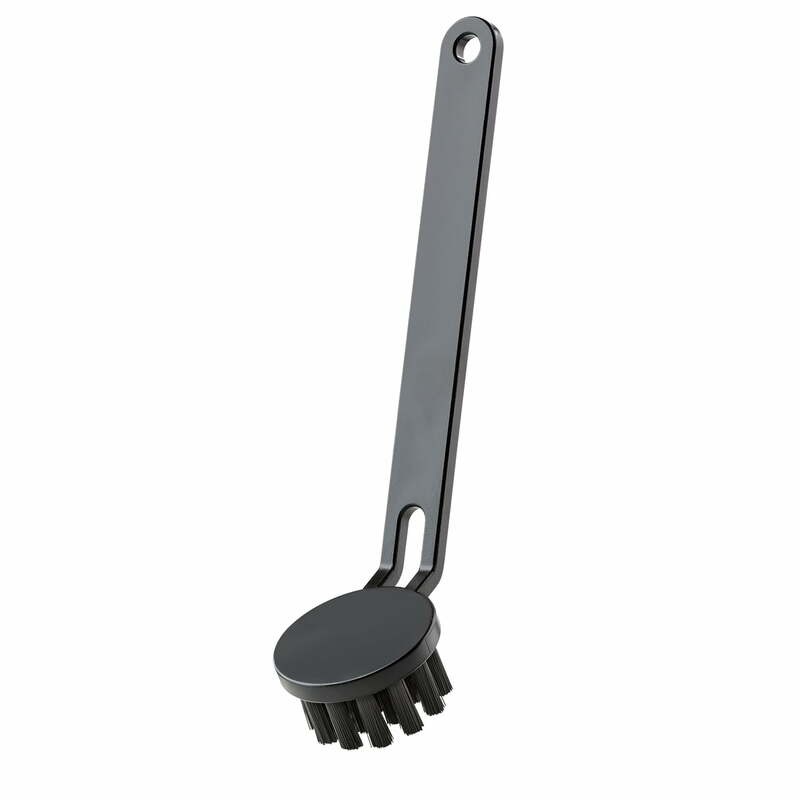 The Zone Denmark washing-up brush is the perfect helper to wash dishes and make stubborn stains disappear. Thanks to the slight angle in the handle, the brush is comfortably held in the hand so that optimum pressure can be applied on the brush head. A handy hole in the handle allows you to hang the brush up on a hook in the kitchen, so that it is always at hand for the next dishes. The shape of the brush designed by Lasse Sortkjaer is characterised by clean lines and a minimalist design. As an individual piece or as part of the Dry Art washing-up set, the brush is made of robust plastic and creates discreet highlights in any kitchen as well as providing practical properties. 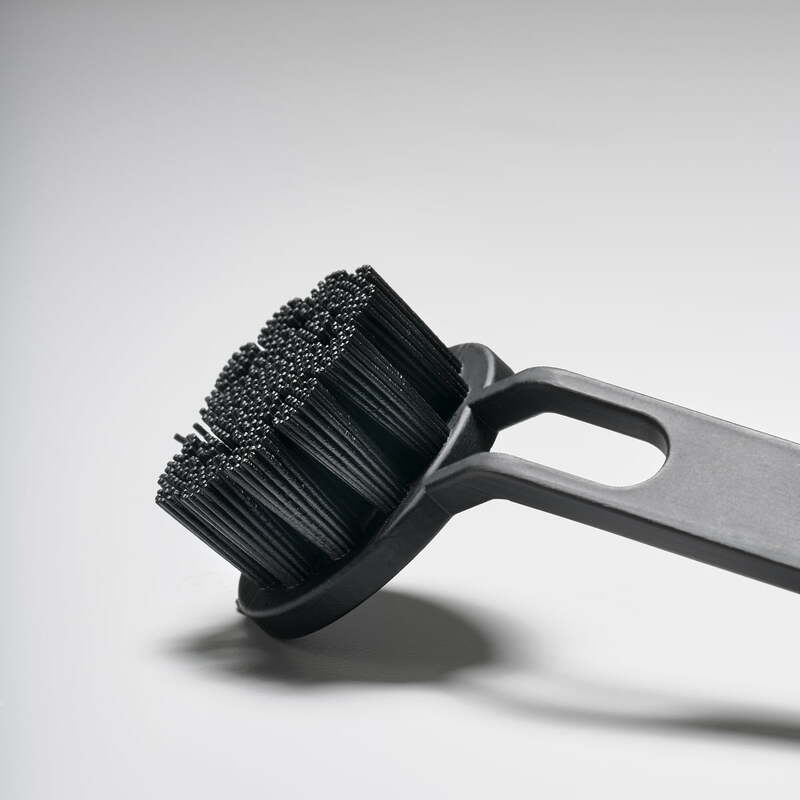 Isolated product image of the Zone Denmark - washing-up brush. The Zone Denmark washing-up brush is the perfect helper to wash dishes and make stubborn stains disappear. 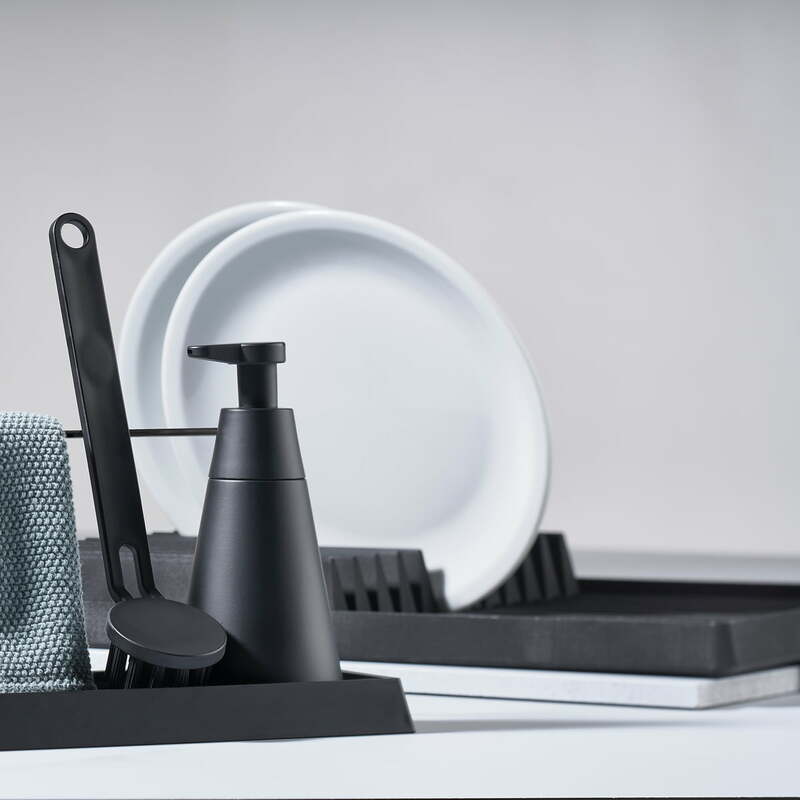 Lifestyle product image of the Zone Denmark - drying rack with the Dry Art set. Zone Denmark offers the perfect set for quickly and efficiently cleaned dishes.